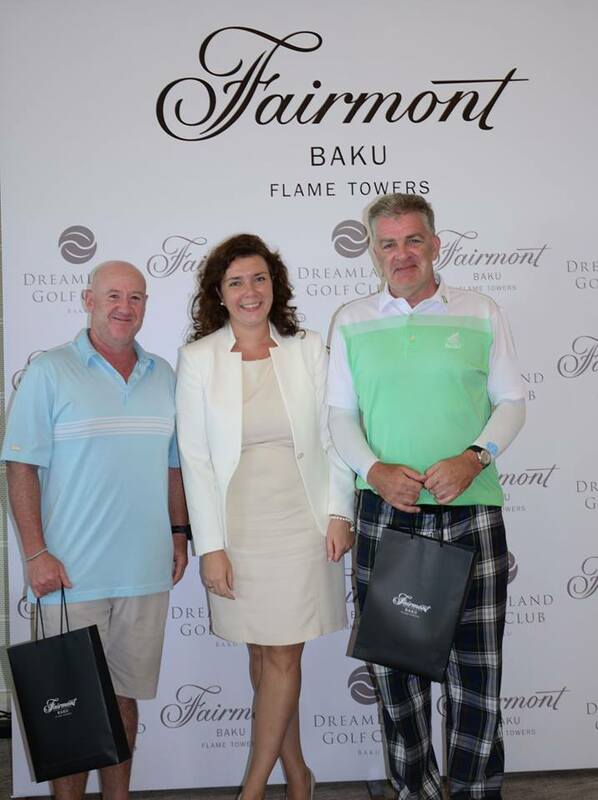 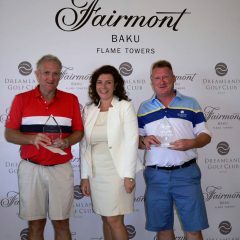 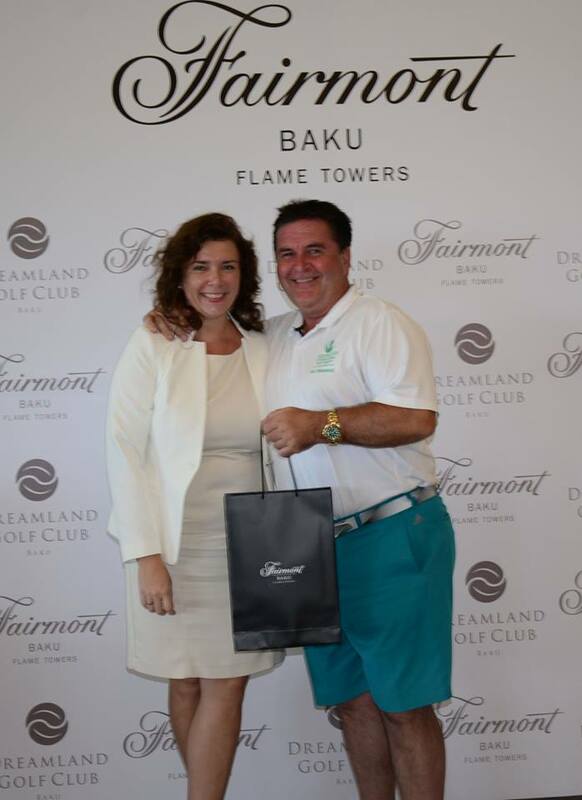 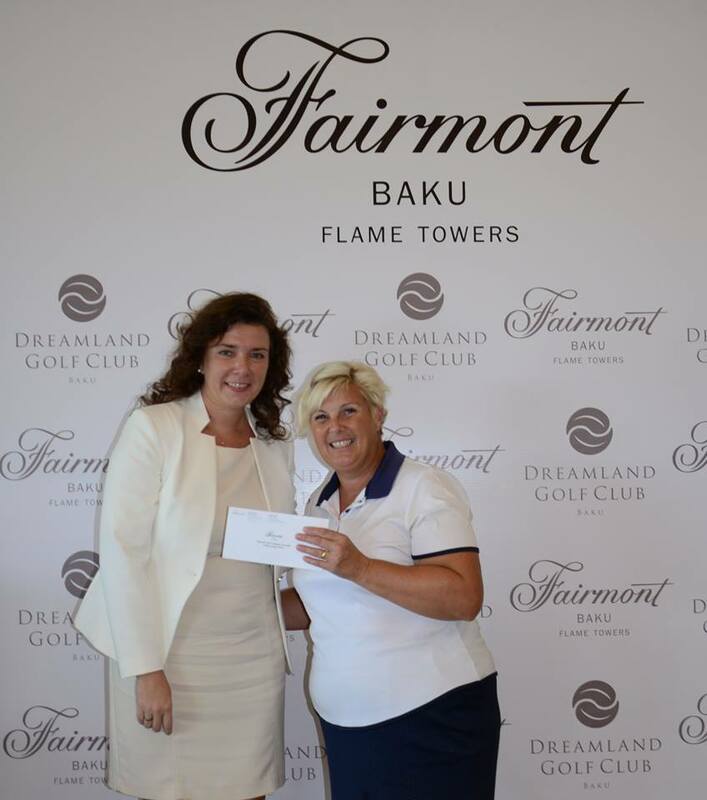 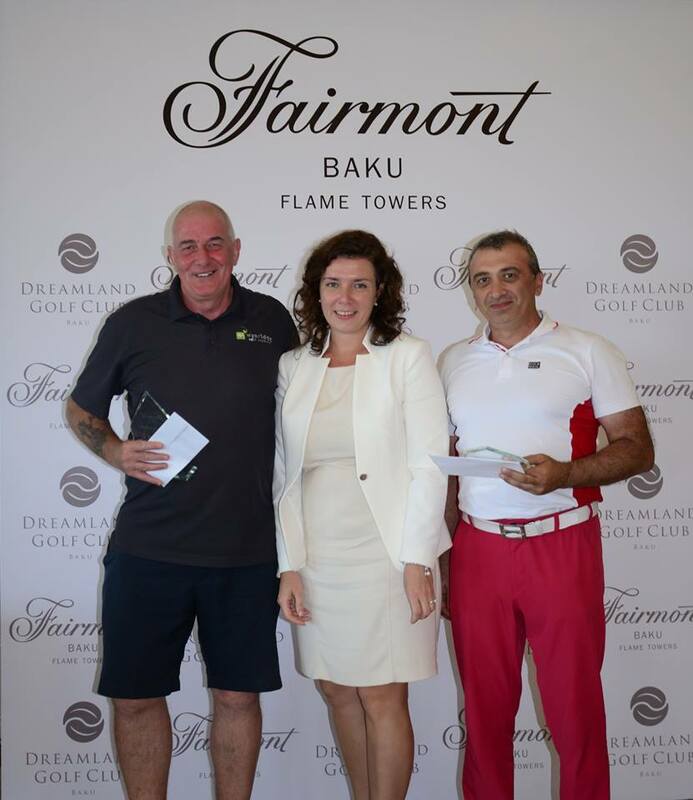 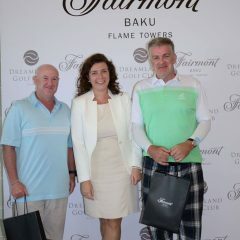 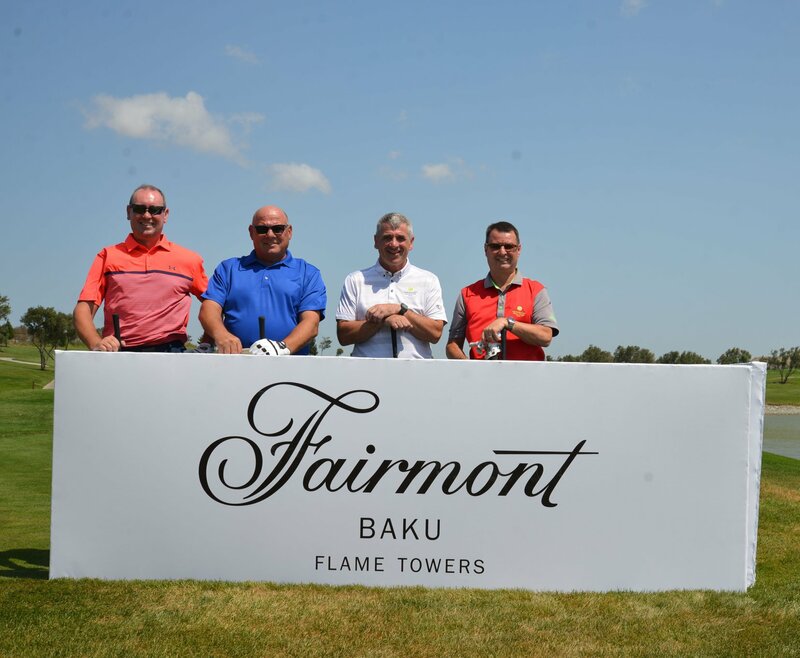 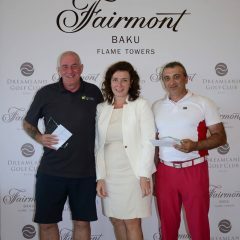 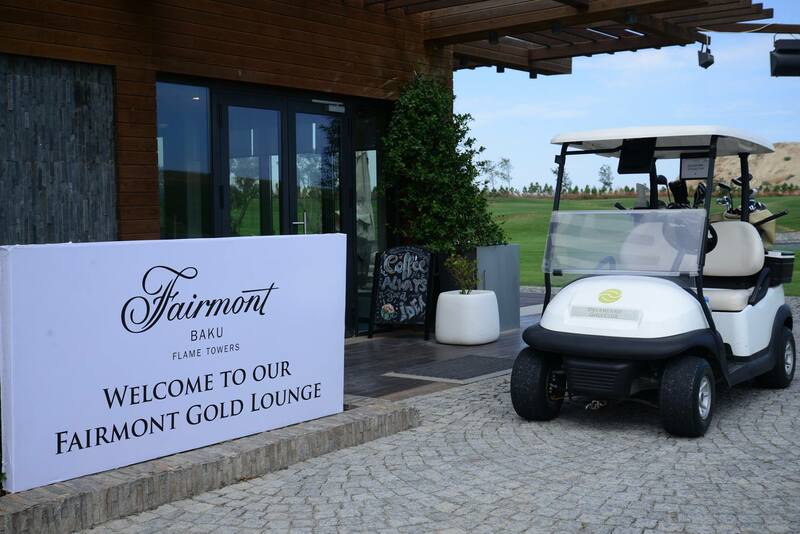 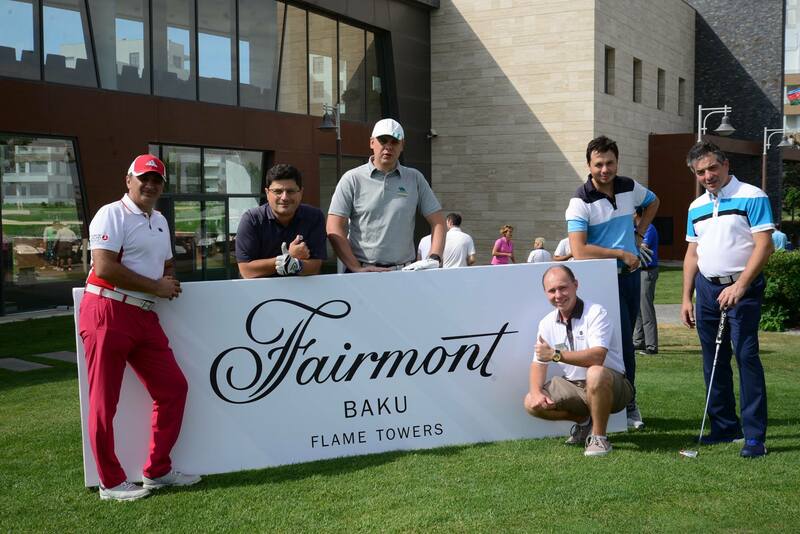 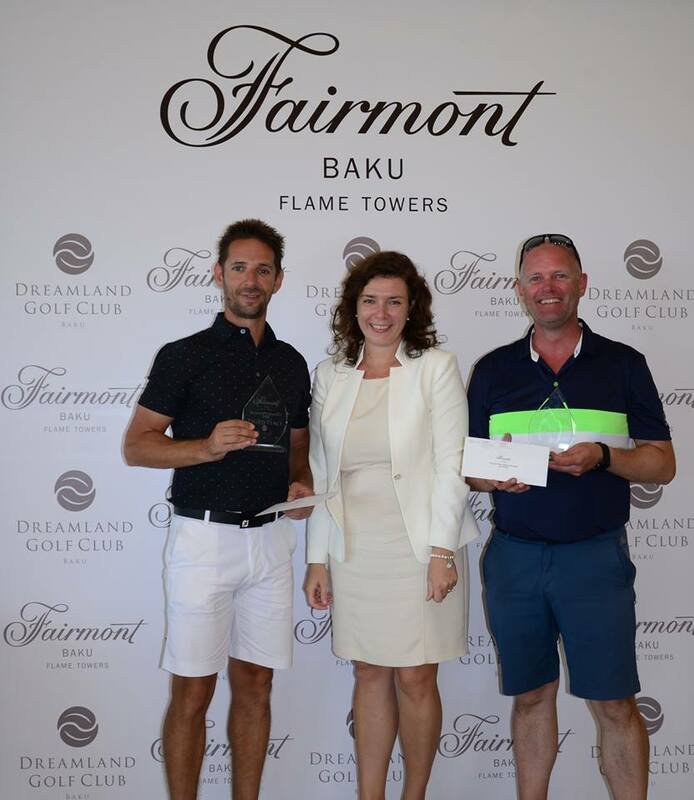 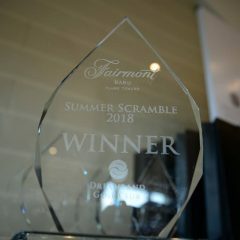 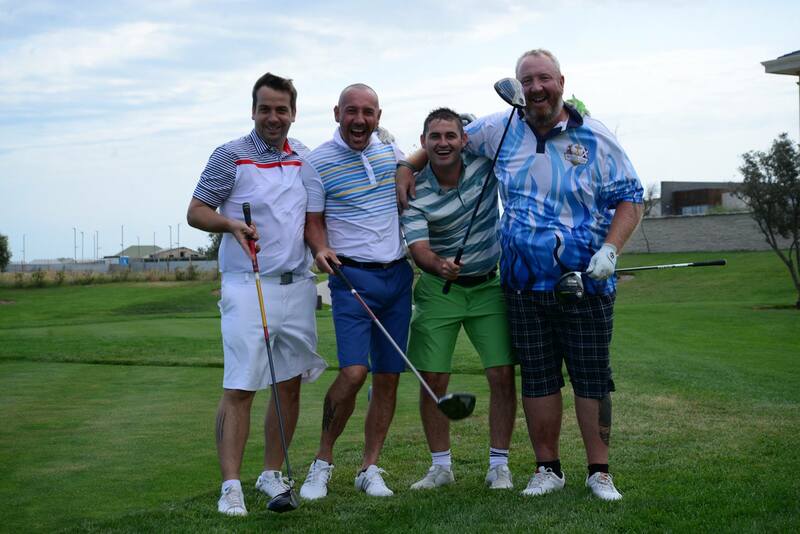 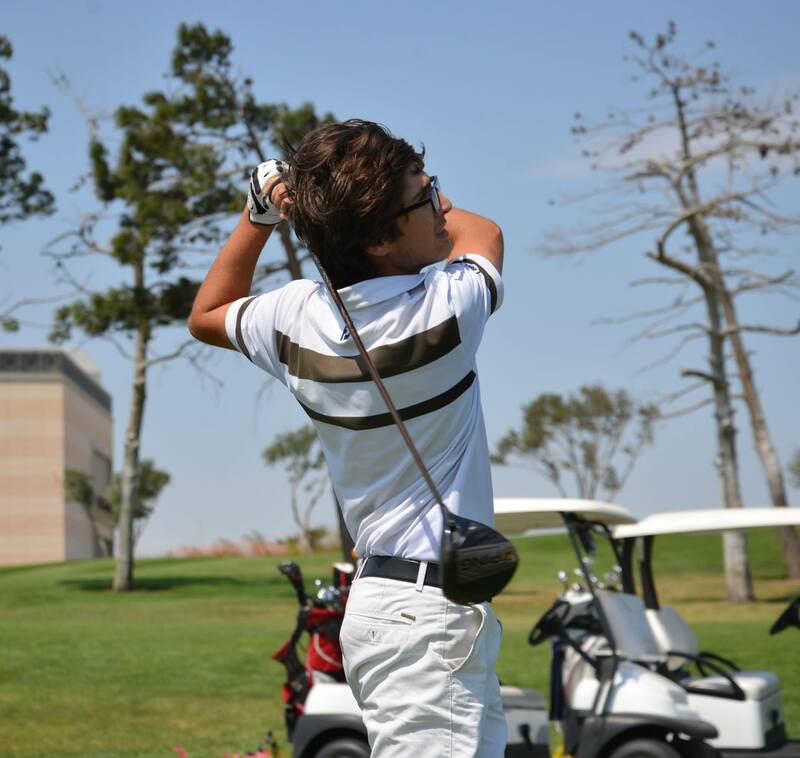 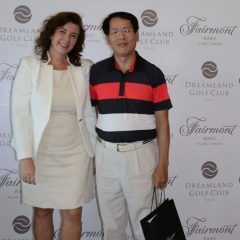 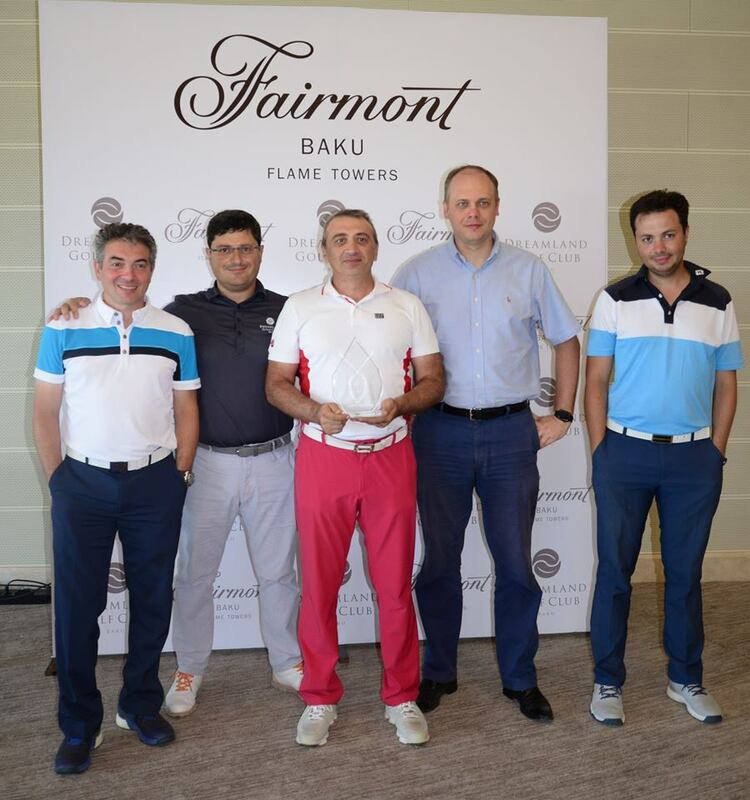 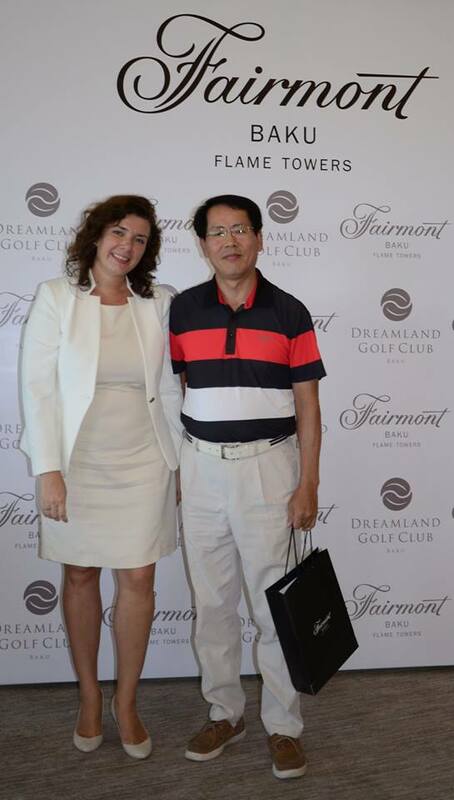 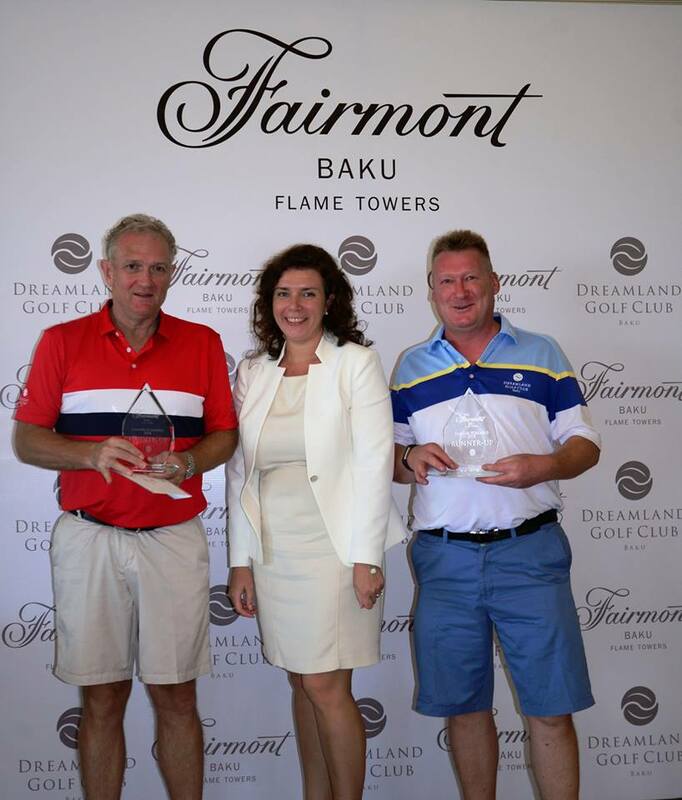 Sunday 19th of August 2018, Dreamland Golf Club played host to the annual Summer Golf Scramble hosted by Fairmont Flame Towers Baku. 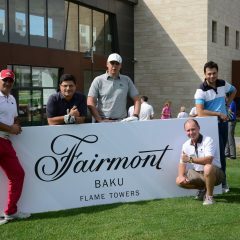 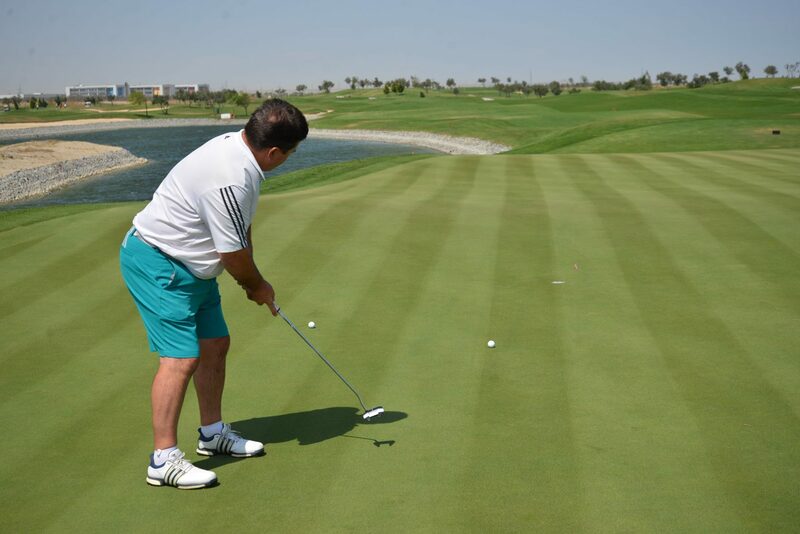 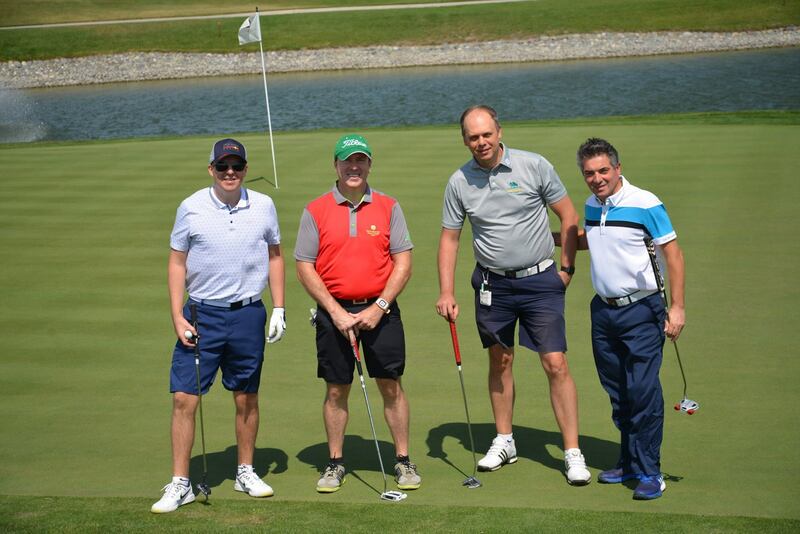 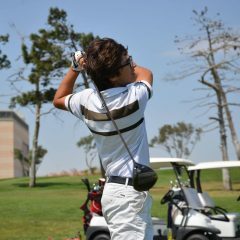 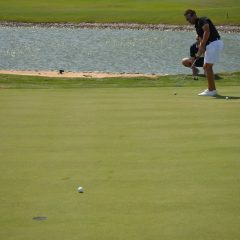 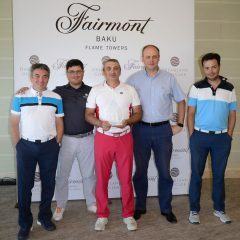 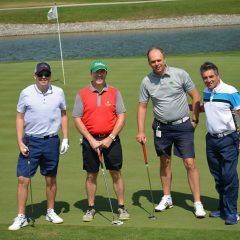 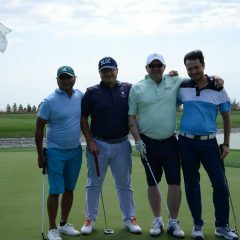 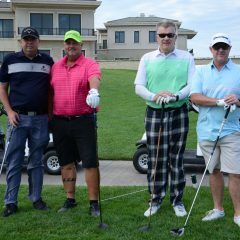 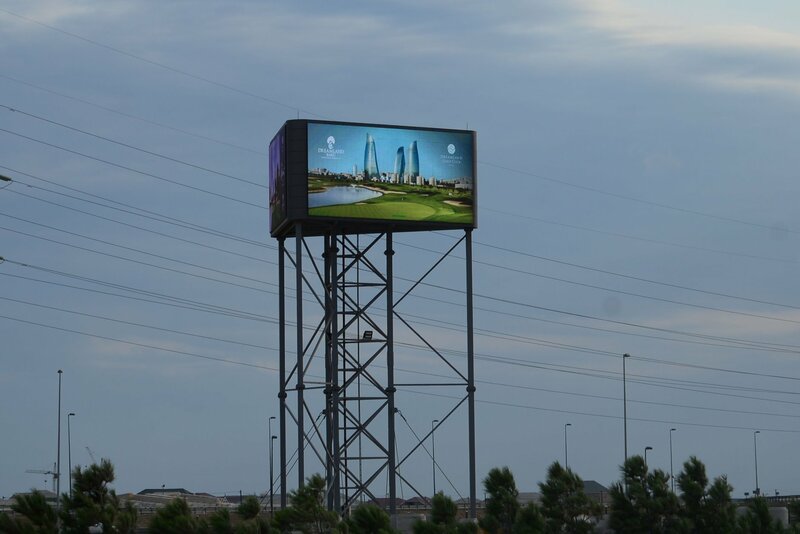 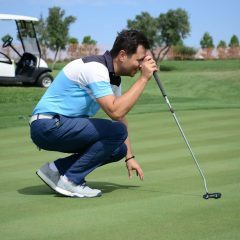 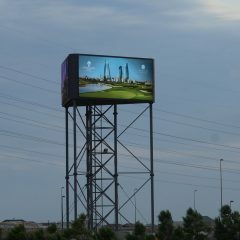 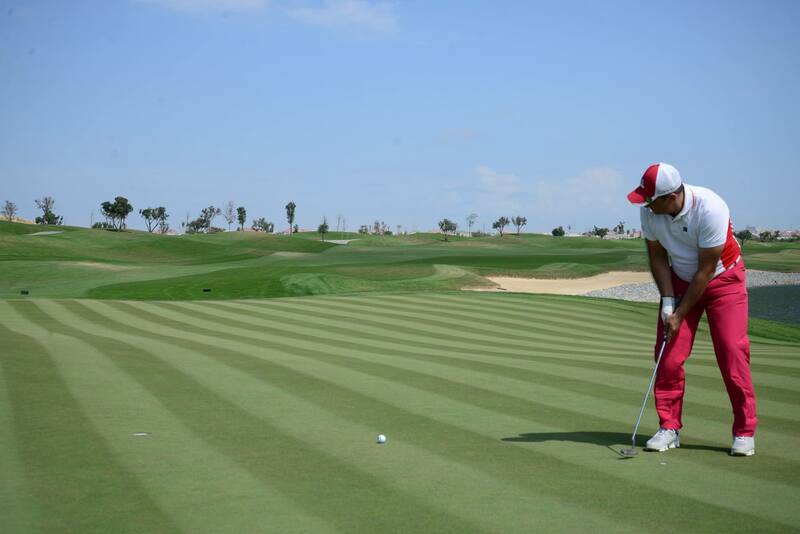 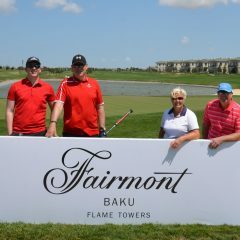 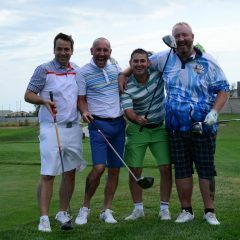 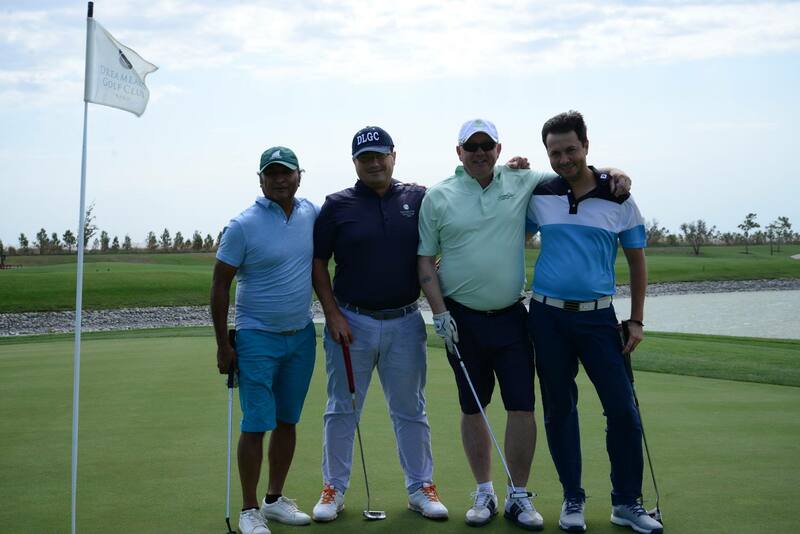 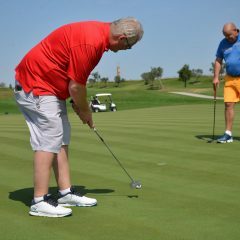 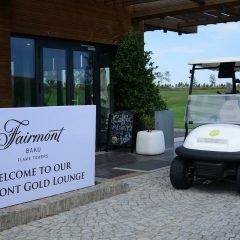 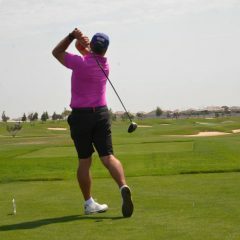 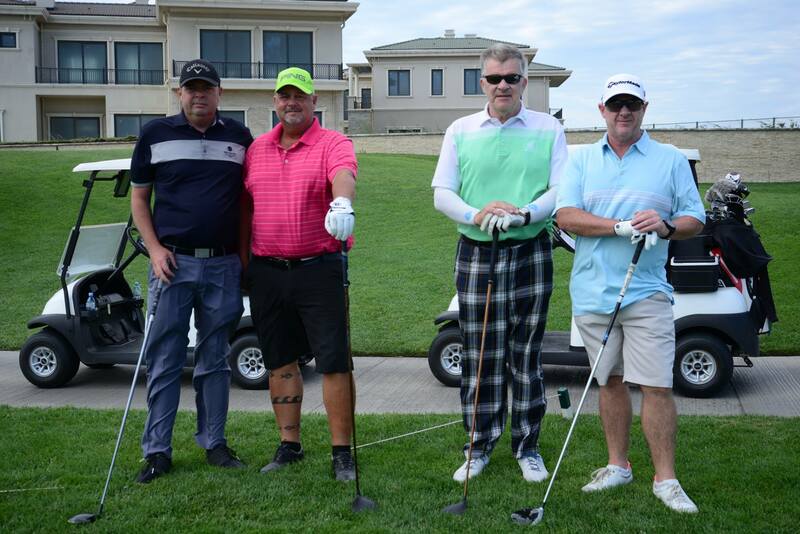 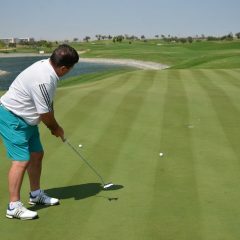 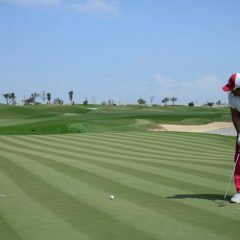 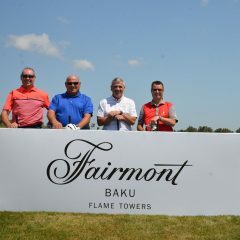 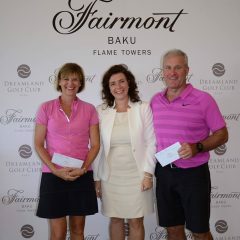 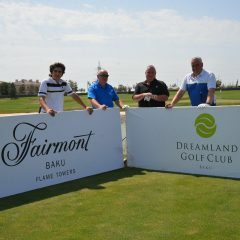 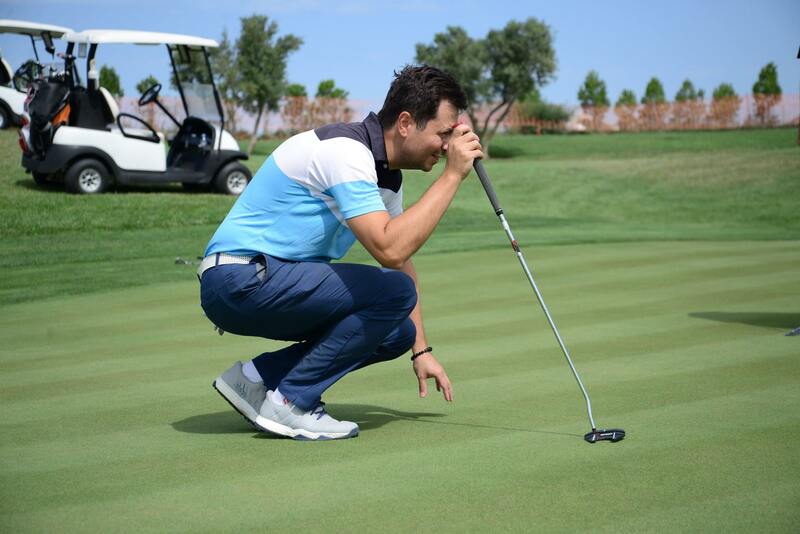 Sixty players participated in this team golf tournament with players enjoying the very best hospitality from the team at Dreamland Golf Club and Fairmont Flame Towers Baku. 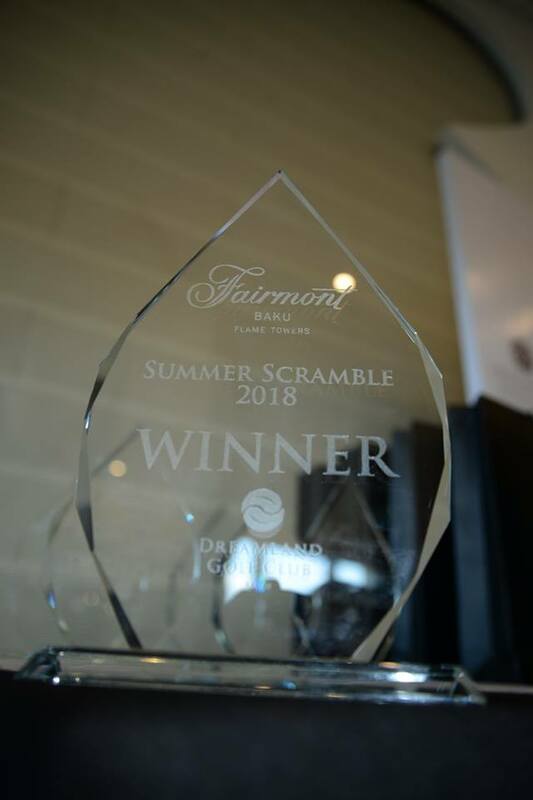 Winning a Signature Sea View Room Stays and crowned the 2018 champions were the team of Graham Beattie and Iain Grant – 69.4 (Gross 76), Runners Up were Darren Thomson and Rory O’Mahony – 70.9 (Gross 77) winning on a count better back 9 from Andrew Hulston and Wade Droney – 70.9 (Gross 77). 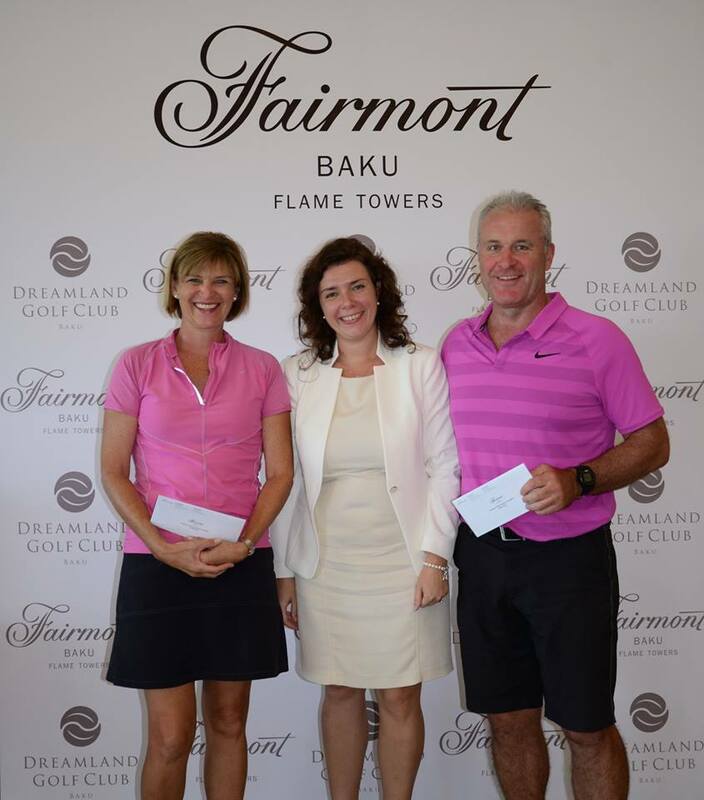 Fourth place went to the husband and wife pairing of Ewan Drummond and Susan Drummond – 71.1 (Gross 77) and fifth place Robert O’Donoghue and Ray Jacques – 72.0 (Gross 79). 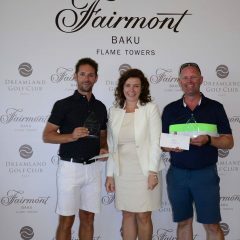 Side contest winners were Nearest the pin Hole 5 Jin Youb Choi, Nearest the pin Hole 17 Robert O’Donoghue, the Longest drive for Men Hole 12 Grant Watson and finally the Longest drive for Ladies Hole 4 Leona Paterson. 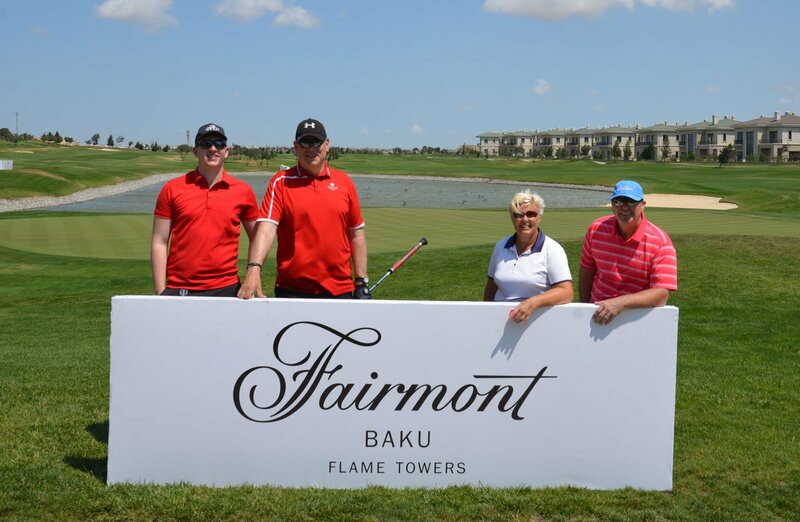 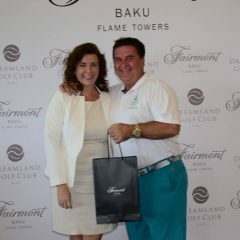 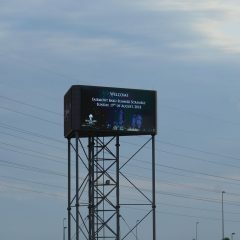 Commenting on the event Ekaterina Soboleva Director of Sales for Fairmont Baku Flame Towers. 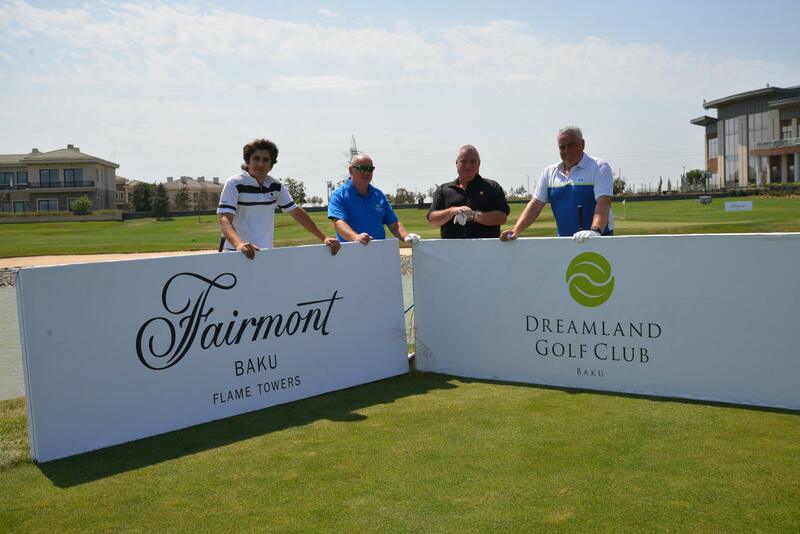 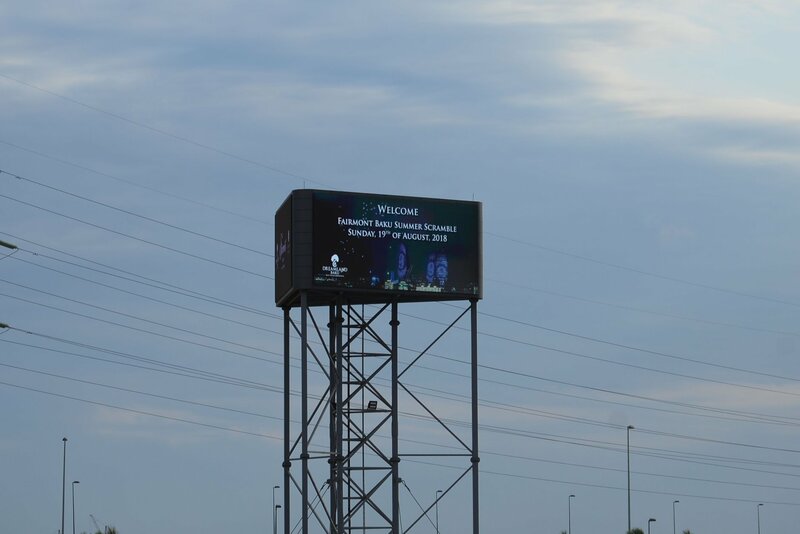 “We are delighted to welcome players for today’s event and be a sponsor for the third year running with our partners Dreamland Golf Club. 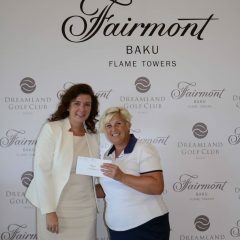 We would like to congratulate all the winners and trust they will enjoy using their prize vouchers with us at the Hotel”.